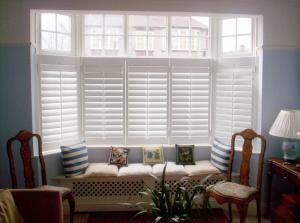 Cheap Bay Window Shutters Are Popular and Perfectly Versatile! 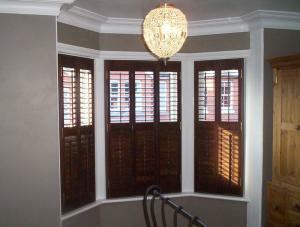 Cheap bay window shutters are one of our most popular installations in the UK. Why are there so many bay windows on UK houses? We’re not sure although a read of this lovely article about domestic architecture from Bristol University explains wonderfully the in-and-out of fashion for the humble bay window here in the UK. Bays were definitely back in vogue by Victorian times after a Georgian resurgence and so many houses were built in those eras that we have many enquiries from potential customers to find out the cost of shutters for bay windows, who live in historic properties. What are the most common types of cheap bay window shutters? ones which have up to eight sections! 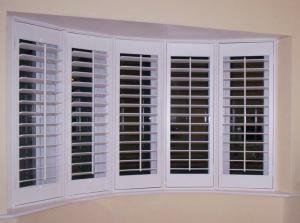 Whatever the number of sections yours has we can cater for them all with our cheap bay window shutters! Don’t worry at all if you have replaced the glass with double glazing, this is very common nowadays and we can install our products over uPVC frames no problem! Our whole installation process is easy and hassle free for you, including protruding handles on bay windows which can cause concern as they stick out so far, but really aren’t a problem at all. Similarly having non straight walls or slightly sagging floors are pretty common with older historic properties, and our chaps will ensure every care is taken when installing your shutters for bay windows, working hard to overcome any ‘character‘ that your property may have! 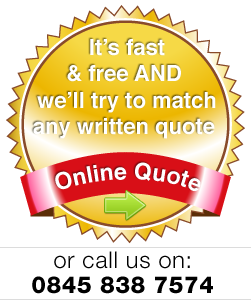 Measuring up for a quotation if you have bay windows is easy too. Whether you want full height products or half height wooden shutters we have an excellent guide for measuring for window shutters here. All you need is a metal tape measure and possibly a stool or ladder, depending on how tall your bay is. 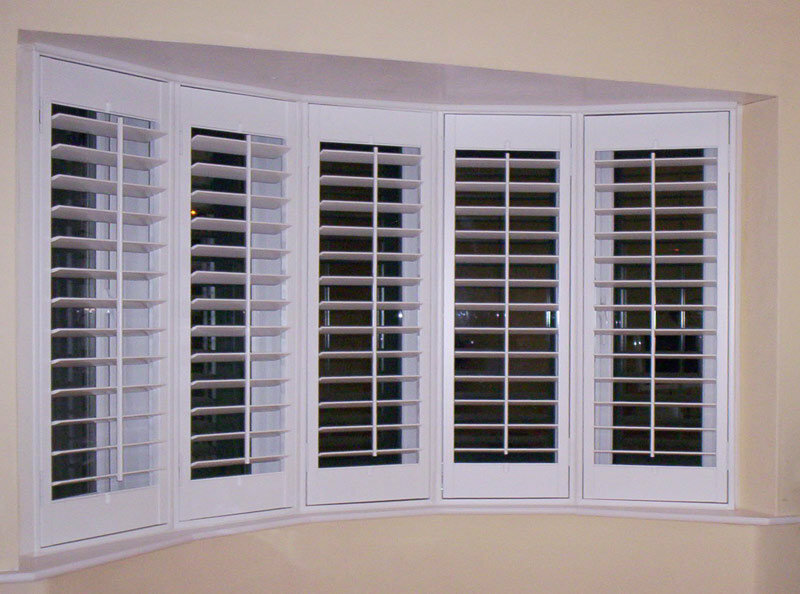 You may opt for a dividing rail, or tier on tier shutters for your windows. 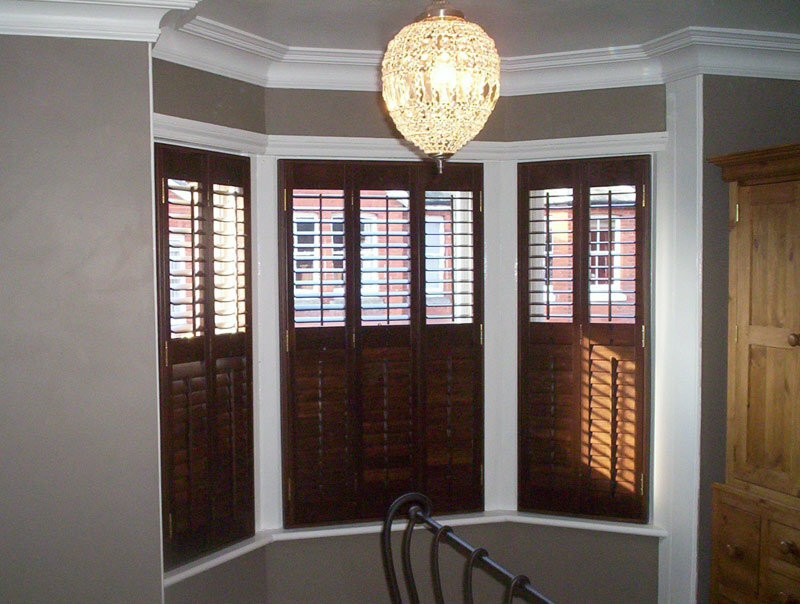 That is one of the joys of our ranges of plantation shutters on this type of window as they really are perfectly versatile!